At F&R Interiors, we understand the importance of high quality, comfortable and attractive custom booth seating. After all, if a seat is not comfortable, who will want to sit in it? We offer a wide variety of seating options including standard booths and banquettes. 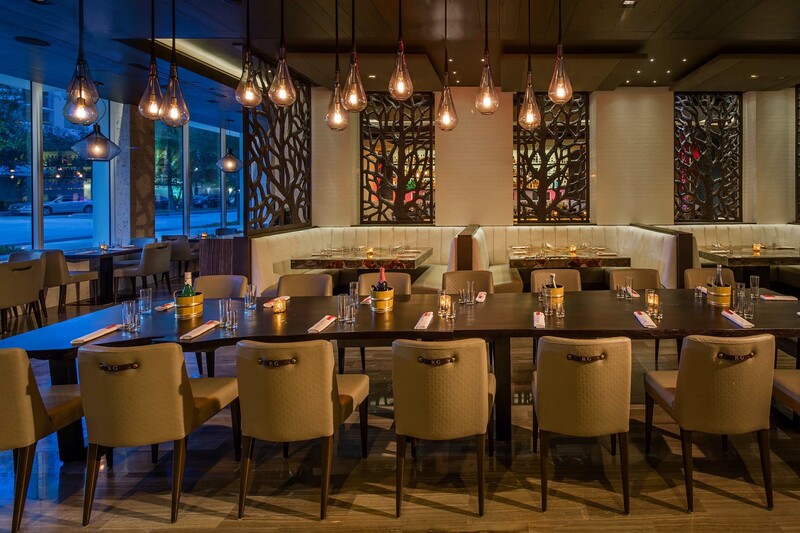 In addition, we create custom restaurant booths, wall benches, banquettes and individual furniture pieces. Whatever the style, size, and function of your seating, we’ve got a solution for you. Need a special color, finish or fabric? We can do it. Our 20,000 square foot facility includes millwork, upholstery, and paint departments. Having everything under one roof allows us to customize products for our clients quickly and affordably. Sometimes a venue will determine the size and type of seating required, but if you’re unsure about what seating would work best in your space, let us help. From deciding the type and style of seating, to the final finishes, our design team will guide you every step of the way. All our custom booth seating solutions are design and crafted with meticulous attention to detail and quality. For seating that will be pleasing to the eye, body, and stand the test of time, contact us.